Mobile service providers are keen on locking-in their customers through punitive charges across networks. And although the Chinese and others from the East have supplied East Africans with dual-SIM and multi-SIM phones, this has not solved the problem. Now innovative startup, Chura, has come up with a system that allows subscribers to select the best services from all mobile providers in Kenya and enjoy them on just one platform. We catch-up with Byron Sitawa, one of the five co-founders of this technology, to learn what this could mean for users in Kenya and other parts of sub-Saharan Africa. Can you tell us about the basics of your company, what is the size of Chura in terms of employees, who are your target customers and clients? “Chura” is Swahili name for a frog. For us, it signifies [the] transition in leaping from one mobile network to another. We give mobile users access to all mobile networks from one point. The company was started by a group of five friends: Samuel, Stephanie, Gaku, Jack and I, all of whom are the co-founders. We do not have other employees and run the business operations on our own. Chura’s target customers include everyone who uses any of the four major mobile networks in Kenya, especially those desiring to take advantage of more than one service provider. When did you start, has the idea been with you for long and nurtured through time? What or who motivated your actions? We officially launched on 1st December 2013. The idea was developed when we realized most Kenyan mobile subscribers use different networks for different purposes. We realized for example that most subscribers had one line for calls, another for texts and another for the internet, all from different mobile service providers. We thought it would be convenient to be able to serve all these lines from a single point in a fast and efficient way. What is the technology behind your operations? How does this technology ensure that there is smooth flow of your business operations across all mobile service providers? Currently we have employed several platforms to ensure maximum utility and access to our services. They include SMS and the web platforms that use GSM modules to automate the processes involved in serving user requests. We are also planning to roll out our USSD platform to facilitate easy and free access to our services. We will also introduce a mobile app for the smart phone market [to provide] a better experience for our users. Our innovation is unique in enhancing network interoperability and we are able to do all this using four services. [These mean users can] transfer airtime across networks, buy airtime from any network using any mobile money service, convert airtime into mobile money [and] send airtime to multiple phone numbers. Can this innovation be applied to other ICTs? If yes, are you considering it? Yes, we are seeing more clients using our service in more and more creative ways. There is what we see and what other people perceive our system can do. A case in point is our airtime-for-cash service [is] being introduced in South Africa to low earning communities that trade in airtime. Our solution will be used to convert the airtime to mobile money. This is a new avenue that we hadn’t thought of but someone else saw how it works. SIM porting is aimed at solving the same problem of interoperability. Its disadvantage is [the] time taken to port - it can take three days. Our advantage is that our service is available 24/7. Can you please comment on the mobile service industry in Kenya and East Africa in general? Are there any strengths/weaknesses that you have noticed? The mobile service industry has engaged in what we term as anti-competitive behavior by trying to lock-in customers to their networks. This is a huge disadvantage for the customer who is unable to enjoy [the] benefits of both worlds. On the other hand, innovativeness of the telecos have pushed our society further in the right direction by coming up with services such as mobile money that enhance financial inclusion. Would you say that Kenyan and East African use of ICT is underutilized? Why? Yes ICT is underutilized. A case in point is the governments that require you to fill in the same information across several departments of the same ministry. [It is] lacking centralized system to manage resources. We feel proper uptake of ICT will fill these gaps. How has your company impacted the ease at which mobile users and others are benefitting in Kenya (and elsewhere)? Mobile users can now enjoy the unique strength and benefit of each service provider. From [the] ease of getting airtime to [the] opportunity to get [the] airtime of your choice even if you are in an area that has only one type of airtime supplied. The chasm has been narrowed and with this the customer can easily benefit from each service provider conveniently and effortlessly. Chura is a bootstrapped project, meaning it has been funded out of money from our own pockets. We have thus experienced financial challenges. The culture of closing up technologies by network operators also presented technological and logistical challenges when developing our product. We have solved these problems through sacrifice and creativity. They are good at embracing technology that solves a pain point that they have. However you have to go past the bad rep - some of the technology services have been provided with hidden strings attached. A case in point is where new technology is provided and customers are charged premium rates on SMS based systems by malicious companies. We have always wanted to change this. If you were to change anything else in the ICT sector, what would you target? Allowing patenting of technology in Kenya [is] currently not possible right now, KIPI explicitly says this. The best you can do with your innovation is copyright it. We also feel [the] cost of internet provision is unnecessarily high in the country. I think getting the startup to over 1,000 transactions per month without outside investment is a great achievement. Also getting team members you can work with, disagree [with], and at the end of the day come up with a solution, is an achievement in its own sense. Have you tackled other areas such as online money service providers nationally? What about PayPal and Skrill? Can you also tell us whether you can convert Western Union to Mpesa? We are a service that seeks to give freedom to users by allowing interoperability of different platforms and I must say a way to allow interoperability between services such as PayPal to Mpesa, or Western Union to Airtel money is of interest to us. This is an area we are looking into to see what we can do. Does your company deal with banking services? Does your platform allow bank to mobile credit or cash for example? No, we don't offer banking or bank to credit services. These are presently provided by banks. Notwithstanding the prevalence of mobile money in Kenya, financial inclusion still remains a big challenge. A large proportion of Kenyans still lack access to banking, savings and investment avenues. Products like Mshwari, Orange Bima [and so on] are trying to address this problem and at Chura we believe this is the best approach with minimal barriers to entry. Launching a product in line with this is our next business agenda. An airtime billing system is also top on the list. There exist some communities and countries, for example [the] low-income bracket in South Africa and Zimbabwe, where the primary means of transacting is through airtime. A number of factors ranging from convenience, accessibility and ease of transfer contribute to this. [The] problem is airtime is not legal tender and presents challenges in valuation. Chura is definitely looking to tap into this. 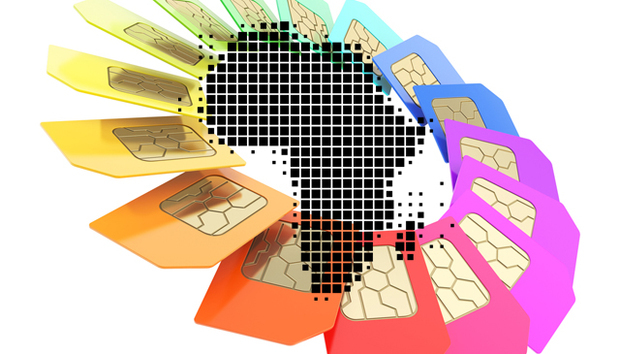 What is your take in the recent debate between Safaricom and Equity Bank on the SIM overlay? Are there repercussions expected or/and reflected in your operations? Definitely there will be repercussions….our hypothesis is that the need for allowing interoperability will arise even further. Equity Bank will have its own unique strengths too and people will still maintain their other numbers in the other mobile providers hence our role will be more solidified. What are your shorter and long-term goals? Are you planning to go beyond Nairobi and Kenya for example? We are eyeing other markets that are multi-SIM environments and currently we are in talks for partnerships to allow introduction of our services in other countries such as Nigeria. Our long term goal is to diversify in terms of markets and products. Currently we have new products in the pipeline that we feel will be beneficial to people.